Also available individually Some of this collection in stock. Order in the next 1 hour, 54 minutes and it will go out today! Some of this collection in stock. Order in the next 1 hour, 54 minutes and it will go out today! A classic of mentalism comes to life! Annemann's Practical Mental Effects has been a landmark book for magicians and mentalists since its release in 1944. The routines that are contained in its pages have been influencing mystery performers for over 75 years. 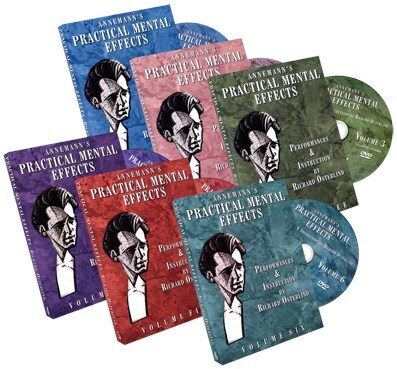 This exciting new DVD series explores the work of Annemann and his Jinx contributors in a scholarly way, analyzing not only the presentation of some of the strongest mentalism ever created but also the thinking behind the effects. Richard Osterlind first performs the effects in their original form before an audience of non-magicians and then very nuance is exhaustively explained with the assistance of Jim Sisti.